Since dimming technologies made their debut in theaters at the end of the 19th century, a lot has changed. 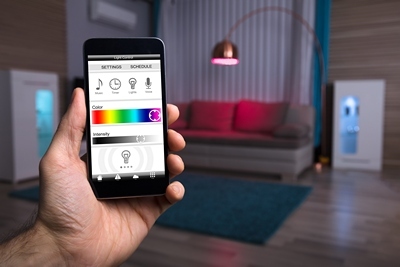 Dimmable lighting is now widely available, and modern consumers demand lighting systems with a myriad of control possibilities, from complex color effects to timing to complete dimming capabilities. LEDs are inherently dimmable which makes them ideal for applications where dimming is essential. Dimming results from controlling how much electrical power a light source gets. Seamless dimming is a vital capability in many applications as constant light flickering can lead to epileptic seizures, migraines, and visual impairment in some people. LED dimming performance is dependent upon the driver capability and compatibility with the dimming equipment. A dimmable lighting system can mean significant energy savings without compromising the building occupants’ lighting experience. One way dimming can save energy is through gradual dimming as ambient daylight increases, also known as daylight harvesting. Lighting systems can also be programmed to dim specific zones as needed. According to the U.S. Department of Energy, LED dimming technology saves energy, increases visual task performance, enhances ambiance, requires fewer light sources, enhances space flexibility, and offers improved component lifetime. The Department of Energy expects LED technology to become the preferred method of lighting in both residential and commercial applications by 2025. DC dimming is a popular method for lighting applications that require quality dimming. While it does require rewiring in retrofit applications, it can deliver full dimming capabilities and is very efficient. As with other dimming technologies, getting to desired effect requires careful consideration of component compatibility. For example, a 1-10V controller is compatible with a 0-10V LED driver. On the other hand, a 0-10V controller is not compatible with a 1-10V LED driver. As a result of this confusion, 0-10V controllers and LED drivers are now standard. Digital dimming is common in theaters, auditoriums, and similar applications. It relies on a control system that organizes luminaires into zones. Customers can operate the system wirelessly via a smartphone, which makes the technology appealing to the masses. Originally used almost exclusively in theatrical applications, this type of tuning is now being used to create high quality effects in commercial and residential spaces. Manufacturers of products from residential lamps to commercial luminaires have now implemented full-color tuning. Many systems have adopted DALI or DMX control types. DALI dimming is a type of digital control based on a de-centralized system. It is a nonproprietary standard and is known to be flexible in its deployment and use. Like the 0-10V dimming system it requires a control cable. However, with DALI, the control cable can be run between multiple fittings. Multiple control units are controlled individually or in broadcast mode (with up to 16 groups). Like DALI, the DMX standard allows for digital control of individual fixtures via a low voltage communication protocol but accepts larger range of digital addresses (512 unique addresses for DMX versus 64 for DALI). The DMX signal is generated by a lighting control system and requires dedicated cabling between the controller and driver. It offers fast centralized control. In this dimming method, the diode is energized only during the last portion of each power line half-cycle. Dimming results by turning the light on and off at a rate of approximately 120 times per second, a rate that is imperceptible to the human eye. Forward phase control dimming is commonly used in retrofit projects because it is generally compatible with existing switches and drivers, and it doesn’t require the labor to install new wiring. While this method reduces control over dimming levels, it can achieve 80-85% driver power efficiency and hence significant savings in overall cost. In the reverse phase control method, the diode energizes during the initial portion of each power line half-cycle. This is the preferred dimming method in electronic low voltage (ELV) systems. There is no special stabilizing circuitry needed, meaning that flickering, power surges and other problems are nonexistent as there is seamless communication with the driver. Use a dimmer designed, tested, and UL - listed for your specific lighting source. GRE Alpha® Electronics offers a series of dimmable solutions for any application. The XLA series incorporates pioneering deep dimming technology that results in 0-100% flicker-free dimming. GRE’s online product matching portal makes it easy to source the right power solution for any application. The most vital thing to remember when procuring LED dimmable systems is that the all component technology must be compatible. This means the controls, driver, and bulbs must be designed to work together. Manufacturers often list specific recommendations for LED drivers and controls for luminaires, so it pays to do research. As we continue to realize advancements and increasing affordability in dimming technologies, new generations of LED drivers are set to provide dimming as a standard feature. Lower cost digital controllers and drivers will lead to more widespread LED use and greater energy savings. GRE Alpha® Electronics, Ltd. specializes in the design and manufacture of solid-state lighting power supplies and lighting control accessories which are the lifeblood of indoor and outdoor LED lighting systems. Unlike many in the LED industry, GRE Alpha focuses on a modular approach. GRE Alpha products can be used either in conjunction with existing systems or with new setups. U.S. Department of Energy, LED Dimming: What you need to know. Canadian Consulting Engineer, Dimming Protocols. LED lighting is becoming the new design standard for its efficiency and longevity. But hand in hand with these more efficient lamps are lighting controls such as dimming. While dimming has been around for decades, it continues to grow in popularity. 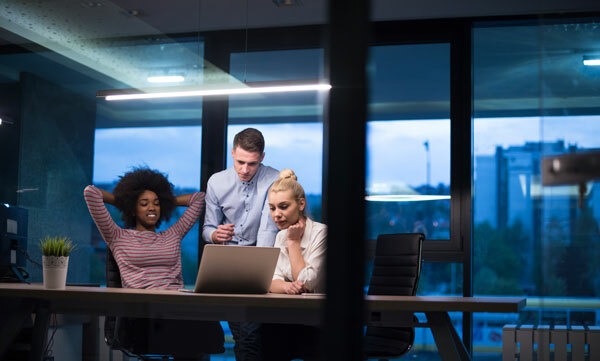 While it still provides ambience for a space, architects and building owners are now discovering the energy benefits of dimming. Finding a dimming driver that can smoothly transition between lighting levels is critical to achieve this. Silicon-controlled Rectifier dimming, or SCR, has been a popular method of dimming for decades due to its stability. Also known as an autotransformer dimmer, this device has been used with incandescent lights for years to provide consistent and inexpensive dimming solutions. Now that LED lights have gained popularity for their efficiency, drivers must adapt to provide the same level of reliability using new methods. Even with this challenge, there are great solutions. Lighting professional have found that using SCR dimmable LED power supplies to be one of the best and most efficient ways to provide consistent dimming. This common method of dimming uses a silicon device called a thyristor to turn the waveform on halfway through its cycle, which allows for power delivered to a lamp to be varied. This method was developed in the 1970s and has been the most commonly used dimming technology for decades. It accomplishes this by varying the point at which the waveform turns on which alters the amount of current or power that goes to the lamp. This is the simplest and cheapest method of dimming. One drawback of SCR dimming is the hum, or singing, sound it makes when the voltage drops. However, this is and has been eliminated with a choke fitted to the dimmer module. The choke can reduce the rate at which the current increases, thus eliminating the sound. Dimming has now become a method to reduce electricity because modern dimmer drivers such as those that use SCR can now cut the supply of current on and off at rapid speeds. This method interrupts the current during an alternating current (AC) half-cycle. This allows you to achieve the dimming effect of a design while maintaining an efficient lighting system. Using dimmers also prolongs the life of light bulbs. By reducing the amount of power to bulb, it experiences less stress and heat. LEDs benefit from this because the dimming range is broader. LEDs can turn down to less than one percent of full output compared to compact fluorescent lights that can only reach 10 to 30 percent. With an LED lighting system, you can achieve the desired aesthetic while also maintaining lower energy bills and a system with an extended lifespan. While LED dimming may be advantageous, choosing the right power supply is the key factor in improved efficiency and overall operation of a lighting system. SCR has the advantage of being a well proven method of dimming for decades, but the technology requires some tweaking to adapt from the standard incandescent lamp technology to LED. For this reason, it’s important to consider the applications best suited for SCRs. Because of their singular forward-voltage only they are best suited for medium to high voltage applications such as lamp dimming, power regulators and motor control. However, some of the more sophisticated products on the market such as GRE’s UL/cUL Listed Class 2 Linear Lighting Pro Constant Voltage LED driver can compensate for the lower voltage ranges and forward phase types such as SCR. SCR dimming drivers are a widely used, reliable, and inexpensive method of dimming technology. But to marry them seamlessly to new LED technology, it is necessary to consider the application. Choosing a driver module that can also overcome flickering or inconsistencies at low voltages should also be considered. A TRIAC dimmable LED driver delivers a wide and constant dimming range that is free of flicker with best-in-class dimming performance, and high efficiency. Supporting products include the constant current XLA with flying leads. The unit has wide dimmer compatibility and supports most phase type dimmers in the market, including leading edge and trailing edge, electronic low voltage (ELV), TRIAC, and SCR dimmers. When chosen carefully, though, SCR drivers can be paired successfully with LED lighting systems to provide not only superior, efficient lighting schemes, but also the most reliable, simple, and cost-effective solution. The state of California is well-known for its strict environmental regulations which stem from the 1970s record air pollution levels to the brown-outs of the early 2000s. While often criticized for its rigid regulations, California has managed to improve air quality significantly since the 1980s and now aims to reduce the state’s energy consumption to avoid future energy crises. The state’s Title 24 is a set of regulations also known as the California Building Standards that specify how buildings are constructed in the state. The California Energy Commission (CEC) is tasked with creating, revising, and amending the code. The Joint Appendix 8 of Title 24 (JA8) took effect on January 1, 2017. JA8 standards focus on several key areas to improve the energy efficiency of new homes, including requiring all newly-constructed single-family homes, townhomes and dwelling units of new multi-family buildings to use high efficacy lighting. To qualify as “high efficacy,” light sources must meet the requirements laid out in the updated code. JA8 regulations focus on performance and lighting quality to increase consumer implementation of high efficacy lighting and to give consumers more choices in lighting solutions. Lighting products must apply for JA8 certification and compliance through CEC. Products must meet specific efficacy, power factor, correlated color temperature, color rendering index, lifetime, dimming, flicker requirements, and more. A partial list of JA8 qualifications requirements is available here. For inseparable SSL luminaires, LED light engines and GU24 LED lamps, ≤ 4000 Kelvin. For all other sources, ≤ 3000 Kelvin. Recessed downlight luminaires and enclosed luminaires must contain a JA8-complaint light source and meet the elevated temperature requirements. Light sources which automatically qualify as high efficacy must still meet JA8 requirements if installed in a ceiling recessed downlight or enclosed luminaire. To obtain JA8 certification, manufacturers must test their products at an accredited test laboratory and submit the results to the CEC. To produce compliant LED lighting products, manufacturers must also keep in mind the LED driver, which is an integral part of any lighting system. GRE Alpha offers a full lineup of products that are suitable for JA8-compliant lighting systems. All GRE Alpha dimmable modules can provide dim-to-zero performance, whereas most of the market’s dimmable options can only dim to about 5%. High efficacy luminaires require high-efficiency components. GRE Alpha XLD series LED drivers can achieve high efficiency up to 92% to power JA8-compliant luminaires. Normally, efficacies over 90% are considered high in the market. As we become more conscious of the need for energy efficiency, more and more states will likely follow California’s lead and adopt energy efficiency building standards. GRE Alpha strives to be a trailblazer in this challenge and designs products in anticipation of future energy needs. California Lighting Technology Center (CLTC), High Efficacy Lighting for Residential Applications.